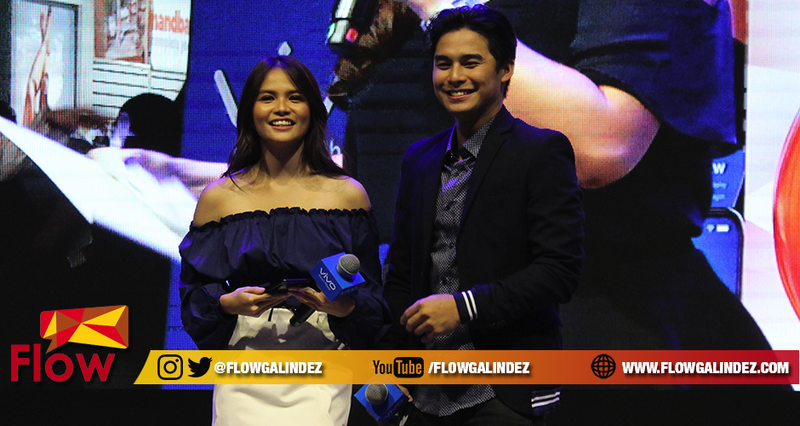 Elisse Joson officially joins McCoy de Leon as celebrity endorsers of VIVO Philippines promoting the latest flagship – Vivo V9. The reveal of Elisse as newest member of VIVO Philippines family happened at Market! Market! last April 14 in line with the nationwide VIVO Philippines mall tour. McCoy is present to welcome here in the family along with the McLisse supporters who are present in the event who are very happy to see them together promoting the new VIVO V9. Up to date, McLisse is the fourth Kapamilya loveteam that are part of the VIVO family. The first to join is the phenomenal box office tandem of Kathryn Bernardo and Daniel Padilla or popularly known as KathNiel. Also included is the musically inclined MarNigo or Maris Racal and Iñigo Pascual. And recently, during the V9 announcement is the breakthrough loving in tandem from the Pinoy Big Brother Lucky Season 7; Maymay Entrata and Edward Barber or simply known as MayWard. The mall tour aims to promote the latest V9 flagship of VIVO at the same time the chance of the fans of VIVO celebrity endorsers to meat and greet with their idols. Keep posted on the official VIVO Philippines Facebook Page for the calendar updates of their nationwide mall tour with their celebrity ambassadors.